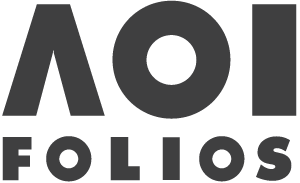 News / World Illustration Awards – deadline extended to 17 February 2019! The Association of Illustrators (AOI), in partnership with USA-based Directory of Illustration (DI), is delighted to announce that due to popular demand the World Illustration Awards 2019 deadline is now extended until 17 February 2019. Illustrators, and their commissioners, agents and tutors are invited to submit work made since January 2018 to the eight categories of the Awards: Advertising, Books sponsored by NoBrow, Children’s Books sponsored by Walker Books, Design, Editorial, Experimental, Research and Site Specific, representing the major areas in which illustration is made for today. The 2019 judging panel is now released in full, including respected names from the industry including Facebook, Arab News, Penguin Books, AMV BBDO and the Hong Kong Arts Centre. The panel will select a shortlist of 200 of the very best projects submitted to the competition, and choose Professional and New Talent Winners in each category. Simon Khalil, Global Creative Director of Arab News, who is judging the Editorial category this year, says “I am honoured to be judging this year’s Editorial category. This is a golden age of illustration with so many talented artists working in the industry. It is brilliant to see publications, including Arab News, commissioning so much editorial illustration and long may it continue. Illustration plays a vital role in visualising editorial content. I’m looking forward to seeing all the entries and to choosing my shortlist of the most exciting work. I’m also looking forward to discovering new talent and seeing some unique and innovative styles”. A catalogue featuring the Category Winners, jury profiles and complete shortlist will be published alongside the exhibition and distributed to commissioners all around the world. The AOI and DI are delighted to announce an array of brand-new prizes for 2019, giving more chance than ever for winning illustrators to gain recognition and opportunities for career growth. The Category and Overall Winners will be announced at a high-profile awards ceremony in central London at an exhibition featuring all shortlisted entries, alongside in-depth displays of winning entries. The two Overall Winners will be awarded generous cash prizes of £2,000 (Professional) and £1,000 (New Talent) at the ceremony. SAA Agents Award for New Talent. Prizes include agent representation, portfolio promotion and business support. All Category Winners and Highly Commended projects will be included in a UK-wide touring exhibition.